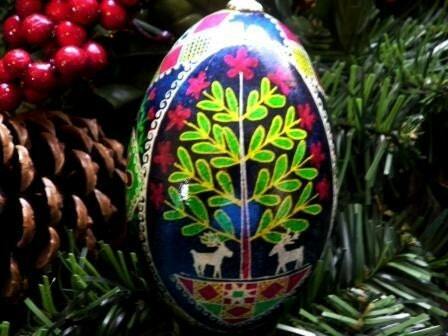 Ukrainian Egg Ornaments can be displayed year round, but also make fabulous one-of-a-kind tree ornaments. These real blown goose eggs are put through a batik-like dye process that uses bees wax and layers of color to achieve the end product. This process can take up to 10 hours depending on the design. 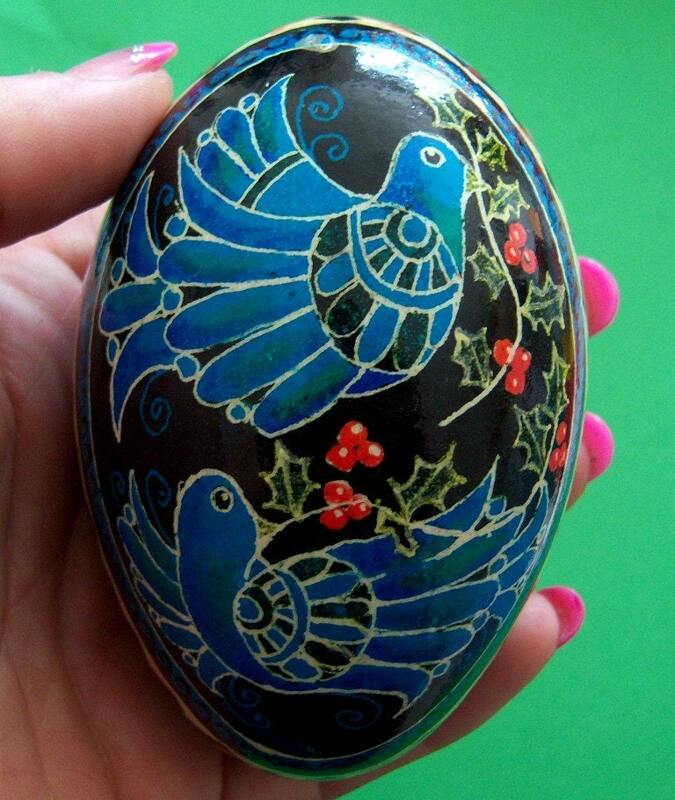 All eggs are sealed with several coats of polyurethane and make great gifts that last for years to come. Most eggs measure 4 1/2″ – 5″ in length. 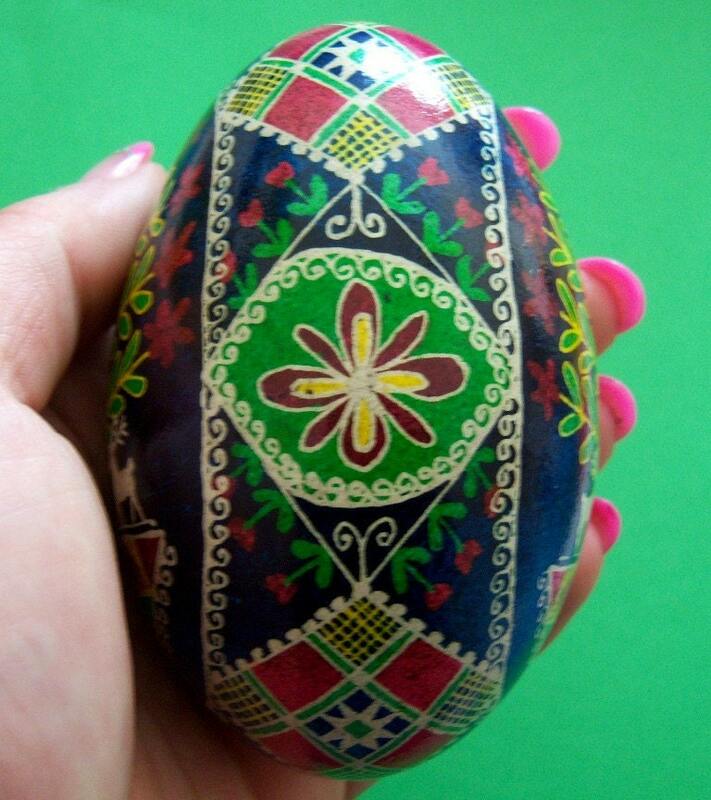 All eggs are sent gift wrapped and are priced at $40.00 each. Be sure to stop by and check out the selection of designs. I also offer Personalized Teacher gifts. 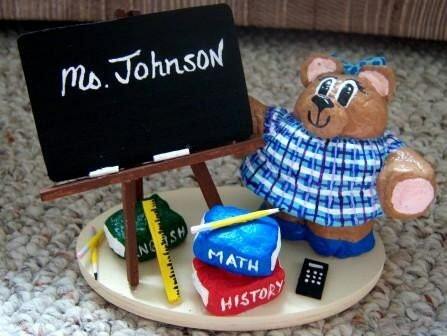 These miniature bears stand approximately 4″ tall and make a wonderful gift for your child’s favorite teacher. Christmas is just around the corner, so give something unique that the teacher will treasure for years to come. Priced at $18.00, which includes free personalization. These silly Flip Flop Pillows can put a smile in anyone’s day. Sewn with 100% cotton fabric, they measure 18″ long and can add funky style to any room. Several different fabric choices are available. 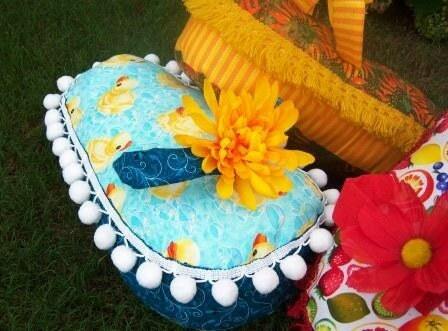 Flip Flop pillows are priced at $20.00 each and make a wonderful, unique gift. Thanks Suzy! How neat are those eggs?!? Gorgeous, right? And what a cute gift for your kids’ teachers. I know my sister would adore that flip flop pillow! Suzy also has a great collection of ornaments! Make sure you head on over to Suzy’s Artsy Craftsy Store. You won’t regret it! New follower from Welcome Wednesday. 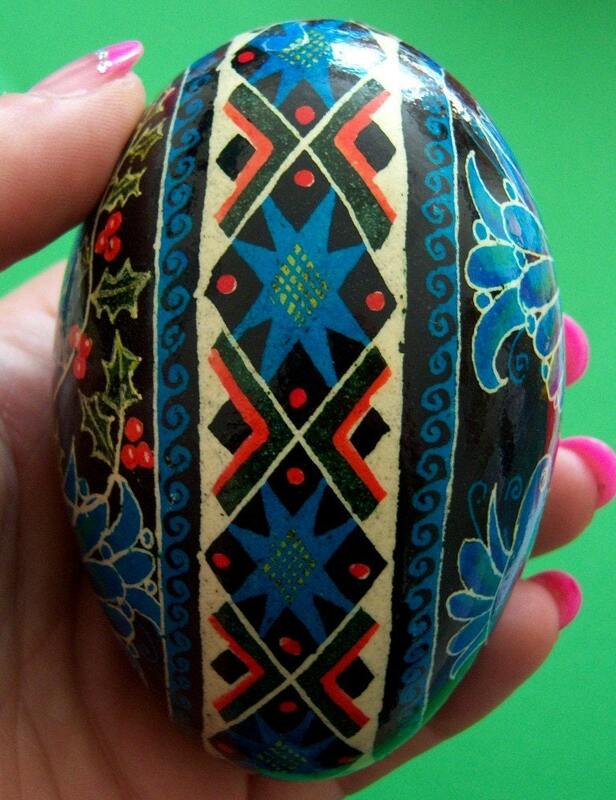 The Ukrainian Easter eggs are really beautiful. Thanks for sharing. Hi! I’m visiting (& following) from Welcome Wednesday. I am a new follower from Welcome Wednesday! I really like your blog! Stop by if you get a chance. Hi there! New follower from Welcome Wednesday! Cute blog! Stop by my blog if you get the chance! Hi, I am a new follower from the Wed Hop. Hope you can stop by and follow me back. Hi! I’m a new follower from wednesday’s blog hop. Hope you follow me too!